Anitha Reddy (Covington) - Book Appointment Online! We are a unique general and cosmetic dentistry office and concierge medspa with two convenient locations. 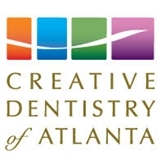 Creative Dentistry of Atlanta & East Metro Beautiful Smiles are two comprehensive family dental practices committed to a gentle and caring approach that focuses on aesthetic beauty and the long lasting health of your smile. *We not not accept Medicare/Medicaid plans. At Creative MedSpa, we are devoted to specializing in the art of skin rejuvenation by creatively integrating technology, ingredients, & concierge skin therapy. We carry top of the line products such as Environ Skincare, and Neostrata. Each are nutrient rich to promote healthy skin and are globally recognized by dermatologists, skin therapists, beauty editors and even celebrities! Very nice office and staff was especially caring and courteous. I have had several appointments and never disappointed.